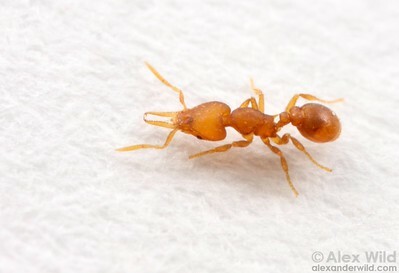 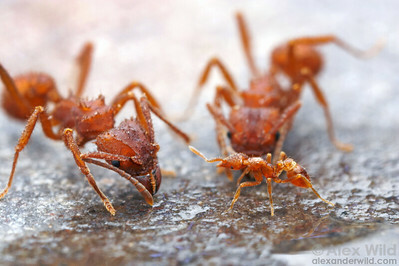 is a diverse group of tiny predators with oddly-shaped mandibles specialized for capturing various arthropod prey. 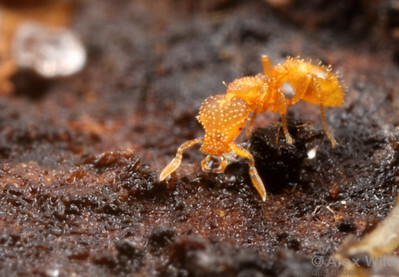 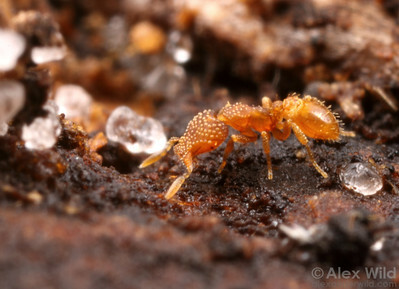 The hundreds of Strumigenys species show considerable variation in mandible morphology and body sculpture, as well as extreme modification of body hairs. 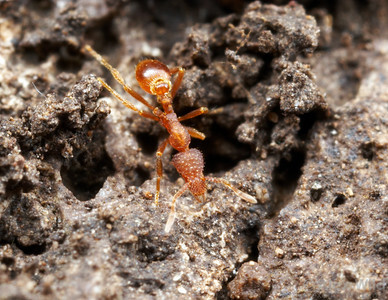 Little is known about the biology of most species. 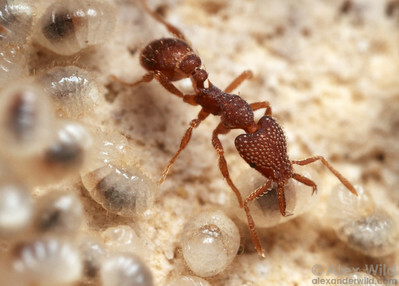 They are common in warmer climates around the world but are not often seen because of their small size, slow movements, and cryptic habits. 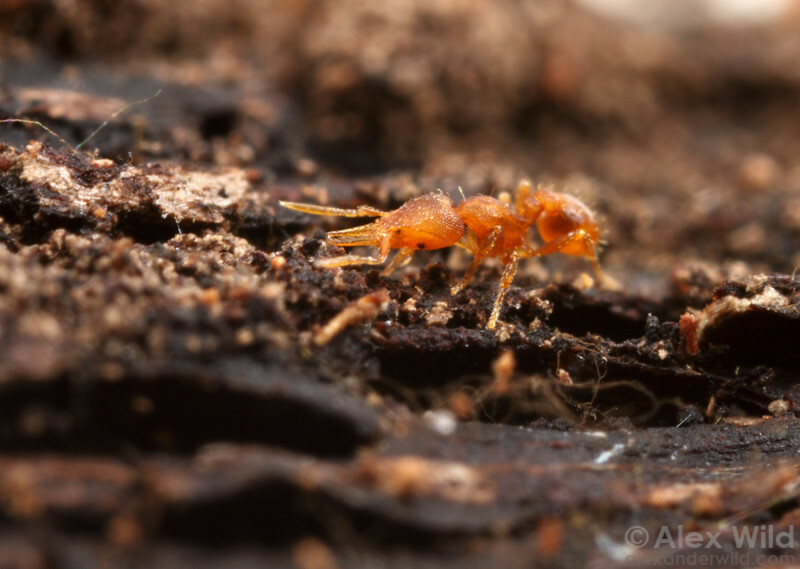 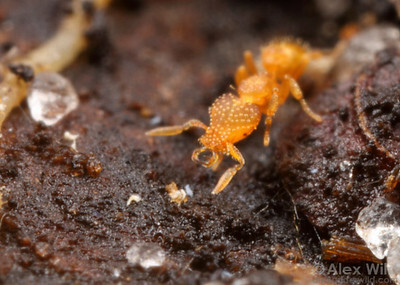 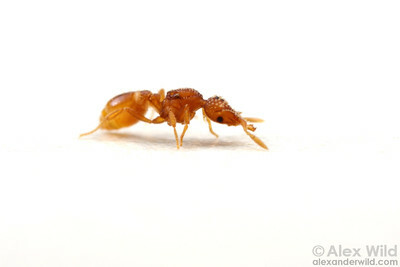 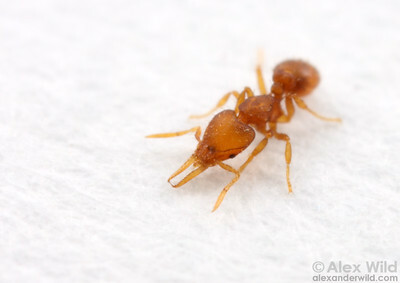 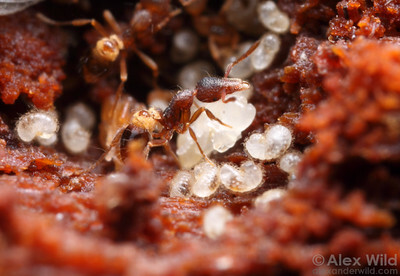 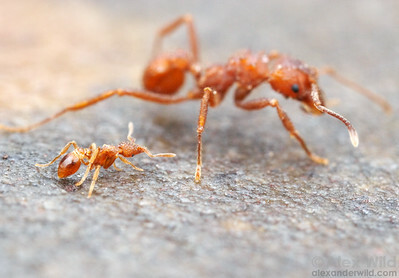 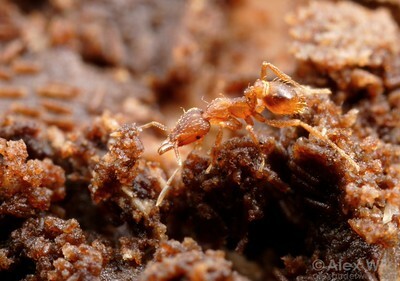 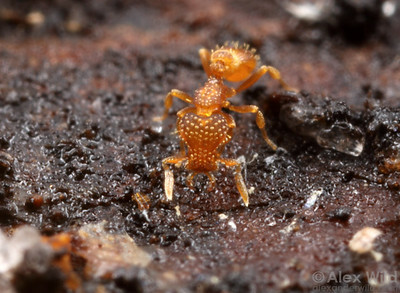 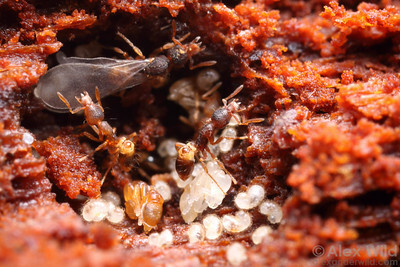 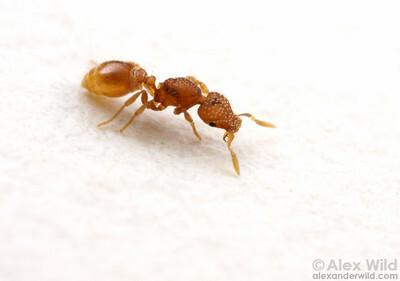 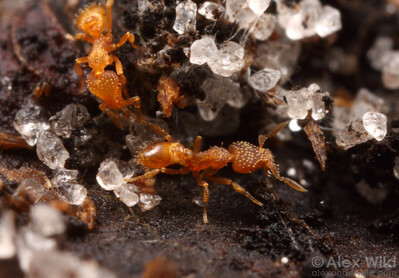 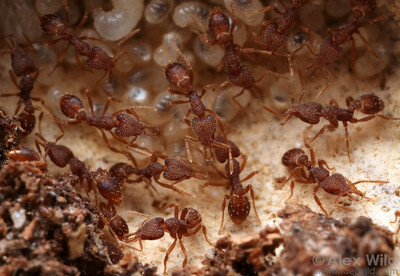 Worker foraging through the leaf litter.